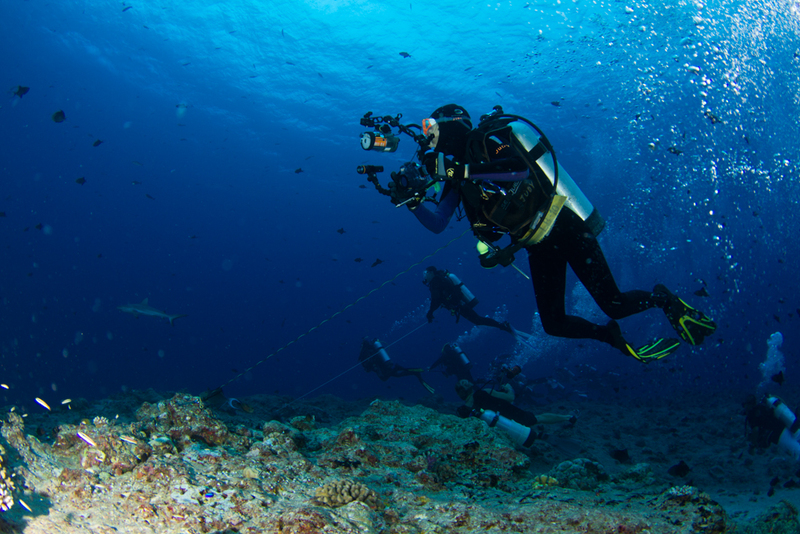 The strong currents in Palau require divers to utilize reef hooks to enjoy underwater photography with ease on this dynamic reef. 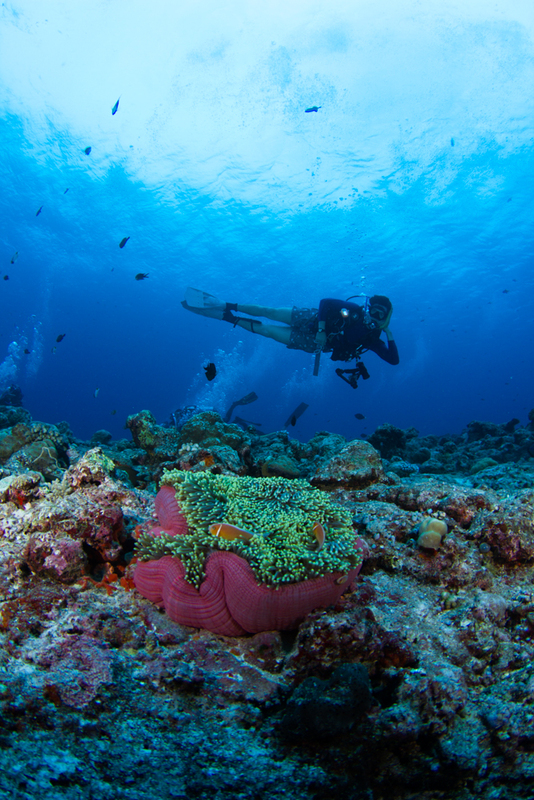 Tropical waters are warm enough to comfortably dive without wetsuits and give rise to spectacular marine life like giant sea anemones and massive coral reefs. 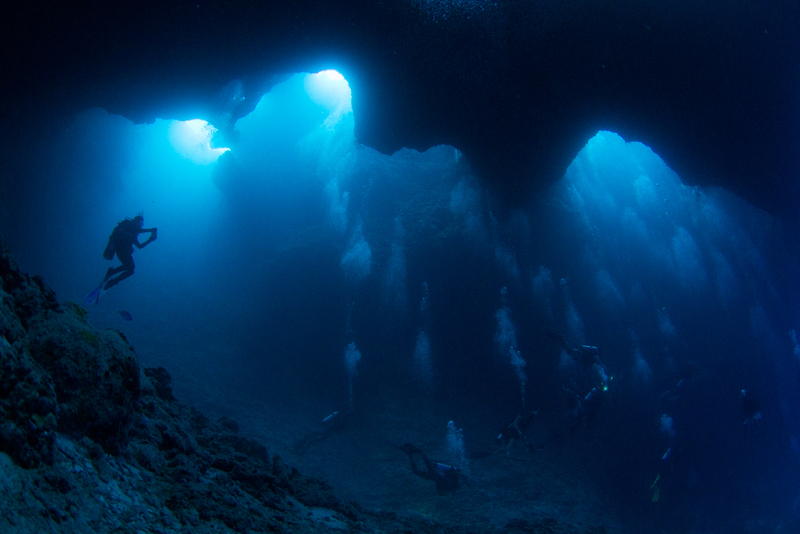 Palau's Blue Hole offers divers a unique once in a life time experience. Calm waters and exceptional visibility grant divers the opportunity to explore and find elusive creatures like disco clams (Ctenoides ales). 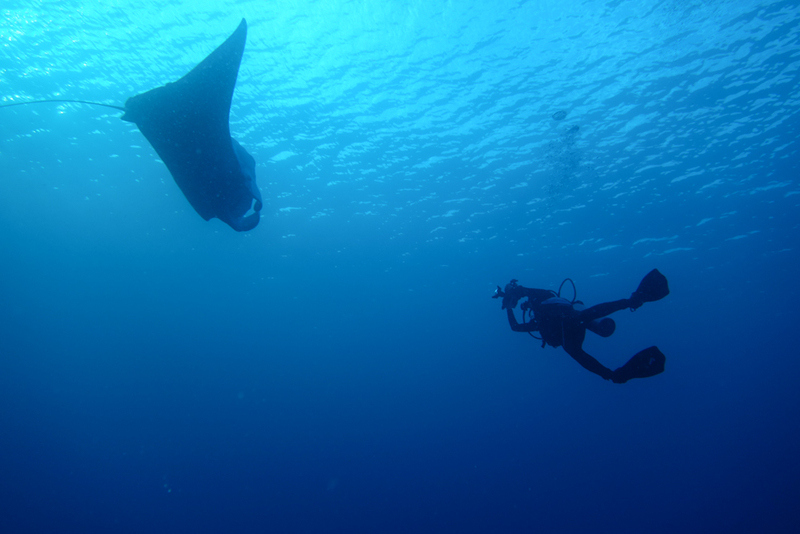 One of the most majestic creatures that divers can encounter in the shallow waters of Palau is the manta ray (Manta birostris). These calm creatures don't mind being approached and photographed by divers. 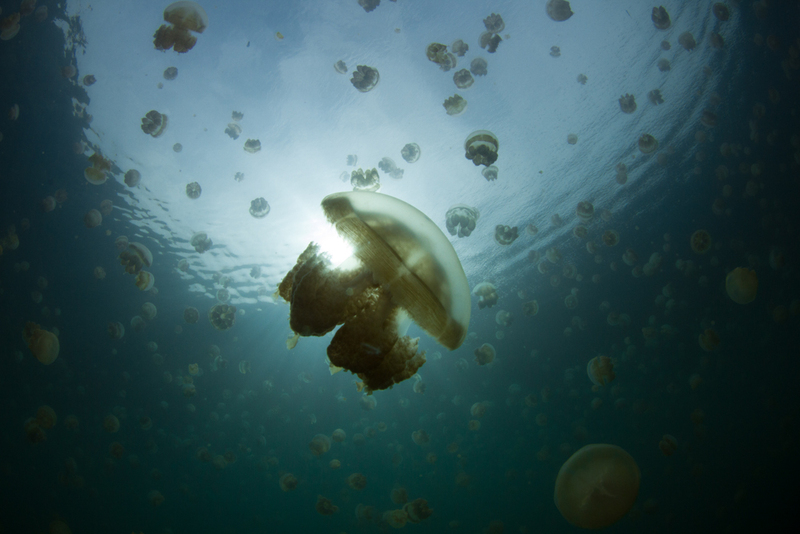 Jellyfish Lake, located on the island of Eil Malk in Palau is home to millions of golden jellyfish (Genus: Mastigias). Divers must exercise caution when diving to avoid damaging these delicate creatures. Please Note: This is a printout of the Ocean Safari Scuba | Community | palau page from 04/22/2019. Some information may have been updated in the mean time. Please visit PAGE URL to view the latest up-to-date information or call us at 626-287-6283 if you have any questions.